The skin is protective, manages temperature and moisture, and can eliminate toxins if the other avenues are congested. The three basics to healthy skin are (1) good digestion, (2) good circulation, and (3) good energy. If these aren’t workin’, you got BIGGER problems than skin issues because the skin is usually an indicator of problems elsewhere in the body. If you regularly sweat because of the work you do, or from exercise or hot baths or steam rooms, this is can be therapeutic if you stay hydrated and mineralized. (Some people do not sweat which indicates an important underlying imbalance which is discussed below.) If you have sensitive skin or a tendency to rashes, then the sweat that comes out should be absorbed by clothing or washed off. Rashes may indicate local lymphatic stasis. In desperate situations when the normal absorption of food is disabled from pharmaceutical acid-blockers, chemotherapy, radiation, or other uninspired medical intervention, and/or the person is unconscious, the body can be nourished topically via the skin (if it is not blocked) by using poultices and fomentations. A ‘poultice’ is made from boiling some vegetation/herbs to break down the cellulose, and then, when warm, laying it on the skin and covering it. Reapply fresh 2X/day. A ‘fomentation’ is made by soaking a cloth in the boiled vegetation, and then laying it on the skin repeatedly. The blood will pick up some nourishment and distribute it. Begin by using exfoliating bath gloves a couple times a week when showering. (These can be found in most dollar stores.) GENTLE use of these gloves cleans off the excess keratin and layers of gunk from smear-on residuals. When you first begin this GENTLE exfoliation, you will notice the gunk in the rinse water on the shower floor. 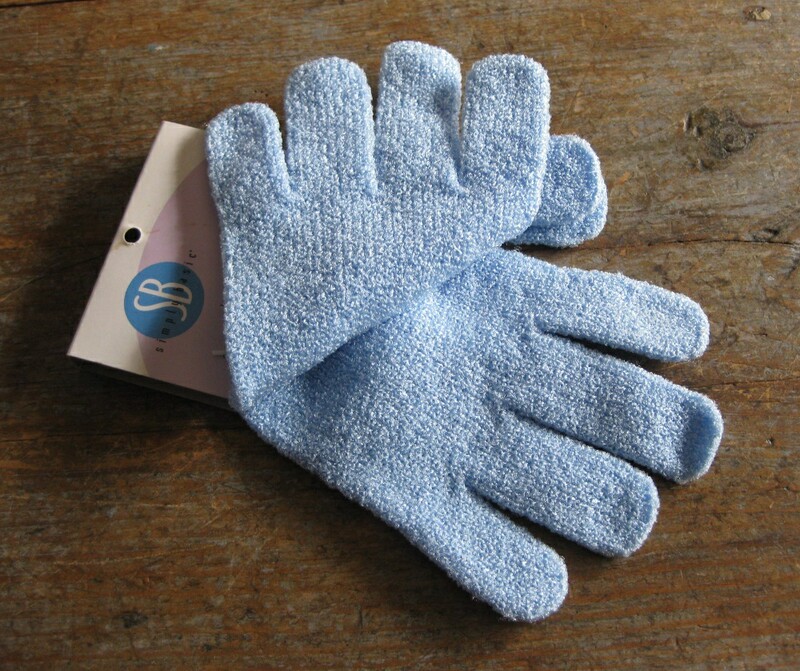 Vigorous application of these bath gloves causes abrasions on the skin which slows the healing process. Towel lightly and spray your wet hands with Nature’s Fresh (#9834-7) and rub it onto your skin. Nature’s Fresh contains natural plant enzymes and a natural surfactant (water wetter) which help dissolve surface gunk. Consider it as an after-shower body splash each week. Watch it even the skin tone and notice how your skin begins to feel like living tissue instead of dead rawhide. Applying healing topicals. Before you apply ANYTHING to your skin, taste it first. This is a good rule. If you won’t put it in your mouth, DO NOT put it on your skin – even if it says ‘natural’. If you won’t swallow it, it isn’t ‘natural’ enough. Our skin is a semi-permeable membrane through which things are absorbed into the blood just like food (see 1. above). So the contents of our make-up, sunscreen and creams find their way into our blood stream. Worse yet, some of these leave insoluble residues or accumulate in the keratin layer and then are baked by the sun and impair our skin’s self-regulating ability to cool itself in the sun creating conditions for a cancerous process. Don’t do it. The sun, in moderation, is very therapeutic to healthy skin. Check out a recipe for natural sunscreen you could eat, IF you feel you need something. As with any other organ or function that I have discussed on this website, you want to NOURISH your skin. Get a small dropper bottle (from ½ to a 2 oz size is fine) and put Rice Bran oil in it or any other seed oil that you like (e.g. Macadamia (loose droopy skin), Grape seed (for fine wrinkles), Apricot kernel or Andiroba (for inflamed or cancer-prone damaged skin), Rosehips seed (for scars or damaged skin), Sesame seed (for finely checkered aging skin) etc.). They all have unique properties, and if you came to see me I likely tested you on my 40-some oils to find the best for your skin condition. These are cold-pressed natural oils many of which you may find in food stores…because you can eat them. In the morning when your face is clean, wet your hands and put 2-4 drops of the oil in your palm. Now briskly rub your hands together to emulsify the oils drops into the water on your wet hands. (The uneven surface of your hands and fingers, and the friction produced by rubbing, cause the water and oil to mix, making the oil into a healing penetrating lotion.) Now rub this lotion firmly onto your face, eyes and neck and wherever else you like – it won’t burn or sting and your skin will thank you. It will nourish and protect your skin under your makeup. Some oils even tighten loose skin. In the evening, again with face clean, do the same with maybe 6-8 drops of the oil emulsified by friction into the water – since you won’t care if your skin looks oily or not as you are going to bed. Experiment with the oil you have regarding how many drops you can use so that in the morning, the lotion does not leave your skin looking a little oily after 10 minutes. This will varies from summer to winter and with skin type. The oils have different properties – but they will nourish your skin…on your face, OR, on your salad. 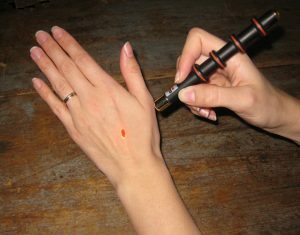 Everyone reports improvement in skin quality from doing this, which is why I’m reporting it back to you. If you have damaged skin, then instead of water to wet your hands, use Aloe Vera Juice (#1680-4). Put about ½ – 1 tsp of Aloe Juice in your palm and add the drops of your oil to it. Again emulsify them together by friction (rubbing your hands together) and apply. BTW lotions that say they ‘contain aloe’ only have to have 1% aloe. And the other ingredients… well, I don’t think you’d like to eat them, so keep them off your skin. NSP’s Aloe Vera juice is 100% aloe – it is meant to be drunk. The aloe not only provides healing agents but tightens loose skin. You will really like the results. Sunburn/Radiation Burns/Tanning Bed – If you have taken care to observe the basics of promoting healthy skin, then during times of radiation exposure you need to prepare your body for the additional stress. For exposure to any kind of radiation (10 UV sun, tanning bed, medical radiation ‘therapy’) consider protecting yourself with the following: Korean Ginseng (#665-4) – 1 capsule for every 45# body weight and Green Tea (#1096-6), 1 capsule for every 35# body weight. So a 150# person would take 3-4 capsules of Korean Ginseng and 4-5 capsules of Green Tea before exposure and within 8 hours of the exposure. These amounts are for extreme exposure – but you won’t be sorry if you took too much, only too little. You can adjust dosage according to your own experience but start high and then reduce and judge the results. Summer sun close to the equator may need higher dosages than northern beaches. Here is a cooling sunscreen. Remember, one of the causes of skin damage is that the skin cannot cool itself fast enough…because it is clogged. Psoriasis and Eczema (plus other skin imbalances) have a separate post devoted to possible the underlying causes from Traditional Chinese Medicine and German New Medicine. Kitchen Burns – Apply Distress Remedy (#8975-1) immediately then apply Golden Salve (#1698-0). Instant relief, no scarring, no blistering, nothing. Silver Shield Gel (#4950-1) is a family favorite. Many recommend Lavender Essential oil (#3907-8) applied straight and others swear by Aloe Vera Gel (#1679-2) as their go-to remedy for burns. It is good to have these on hand and also a good idea to note what they are good for because in such times as a bad burn occurs, you often can’t think what to do. These can also be applied liberally to children who get burned, BUT have them on hand as accidents do not happen at convenient times! Dry skin – Pay attention to the basics at the top of this article. If those are not working you have more serious problems than dry skin. If those are working then simply follow the recommendations in 2. Unblocking the streets, and 3. Applying healing topicals. Sometimes dry skin is associated with unbalanced endocrine function so read that section to see if anything applies to you. 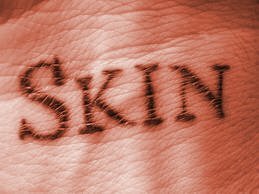 Winter skin – itchy/rash – For my clients this seems to be resolved by supporting the adrenal glands (see endocrine function/adrenals). Apparently this is an ‘inability to adapt’ which manifests in the skin but is also a systemic problem that is manifested more in the winter. So my clients have resolved this with formulas like EnergV (#875-8), Licorice Root (#420-6), AdaptaMax and other formulas in the adrenal discussion. are even needed. Between cold laser treatments use Rose Hips seed oil as described in 3 and add Frankinsence (#3899-9). Apply healing topicals along with the Aloe Vera (as in 3c.) and do a massage of the area to loosen the tissue. If you have surgical scars from medical intervention (esp. from cancer ‘treatment’) it is very important to resolve the scar as cancer comes back in that area because of the stagnation that has been created, and then you will be intimidated into radiation therapy to burn your skin and deteriorate your bones. Scars disable the 3 basics at the top of this article and that is the reason cancer can come back. For surgical wounds, see below. Skin Cancer – results from longstanding violation of the big 3. One must remember that the problem began on the inside usually with a stress deranged digestion. So work that vigorously along with the other 2 and make an appointment. In the meantime, I have found topical applications of Frankincense essential oil (#3899-9) and Myrrh essential oil (#3939-3) to be very beneficial. These can also be diluted into Apricot Kernel oil which contains natural cancer resolving properties (Amygdalin, Vit B17). Escharotics like C-Herb are very effective but should be tested first to see if appropriate. Liver Spots – come from the liver. No really. Check the liver doc to see if you have other indicators. You can nourish the skin from the outside but take the big fat hint and work your liver – I mean you will never be sorry. My clients have noticed them lightening up when doing liver herbals. Pregnancy Mask – same etiology as liver spots. Consider the Gentle Liver Cleanse several times between pregnancies. Acne – can be the result of stress, endocrine imbalance (hormone imbalance) or deranged digestion. Investigate these links to see which apply to you. Topically the Silver Shield Gel has been shown to reduce the redness. Taking antibiotics long term for this deranges the digestion more and may damage the liver. Hives – are from stress – period. To elaborate, hives come from an inability to handle the present situation. Usually the person has been under some level of stress and then the proverbial ‘straw that broke the camel’s back’ hits. The remedies that help you handle stress are discussed in the Endocrine section/Adrenals. The stressor can appear to be a food as much as a situation. There is analogous relationship between not being able to handle/process a food and not being able to handle/process a situation or person in your life. Rosacea – is an indicator of stomach distress from being ‘yelled at’ or the fear of being ‘yelled at’. People will tell me this – that the Rosacea flares are related to stress. To address the underlying cause, begin massaging and calming the tense stomach by doing the Abdominal Massage, esp the 2nd part. An effective topical astringent is Liquid Red Raspberry. To apply, wet the hands, add into your palm, 3 gooey drops Liquid Red Raspberry (#3425-4) and 3 drops Sesame Oil (not the dark cooking kind) or Hemp Seed oil. Emulsify by rubbing the hands together briskly and rub onto the area. This mixture is a little sticky so I would do this at night, every night until irritation resolves. In severe or stubborn cases there is no problem doing it in the morning. This lessens the irritated look. It is also important to address the matter internally, as well. To this end consider Yucca 3B, 3D and T/R St John’s Wort 2B. It is concentrated and easier to digest for stress damaged tummies. If you are currently taking an SSRI-type anti-depressant some say you shouldn’t take St. John’s Wort. Shingles – see the Nerve post. Surgical Wounds (including episiotomies) – Trauma to the skin is best addressed by Distress Remedy (#8975-1) even if the skin is broken/bleeding and the sooner the better. These areas should not be touched because of the tenderness (although I’ve squirted Distress Remedy right into open cuts with good results). Into a small store-bought bottle that produces a fine spray put 1 ounce of the Distress Remedy (#8975-1) , 2 ounces of filtered water and 1 tablespoon of Silver Shield (#4274-1) (Colloidal Silver). Spray as often as needed for relief of pain. For nerve damage from modern medicine or other injuries see the Nerve post. Diabetic Ulcers or Bed Sores (decubitus ulcers) – Honey. Simply apply the honey and add to it without washing it off. Then consult the Blood Supply document to address the matter internally. Diabetics should consult the Dysglycemia document to address the sugar regulation. Oral HCl has been shown to help. Itching skin on the feet – Rub feet with Cinnamon, or Thyme from your spice cupboard. A report on skin moisturizers is published in the Aug. 14 issue of the Journal of Investigative Dermatology. For the study, hairless mice were exposed to an extended period of UV radiation, which induced non-melanoma skin cancer. After stopping UV treatment, they applied four different common brands of skin moisturizers to the animals’ skin five days a week for 17 weeks. The researchers found that mice treated with skin moisturizers showed an increased rate of tumor formation. In addition, there were more tumors on the animals treated with moisturizers than on the mice that were only given UV radiation. The moisturizers used were Dermabase, made by Patrick Laboratories in Minneapolis; Dermovan, made by Galderma Laboratory Inc. of Fort Worth, Texas; Eucerin Original Moisturizing Cream, made by Beiersdorf of Hamburg Germany; and Vanicream, made by Pharmaceutical Specialties Inc., in Rochester, Minn.
A pregnancy mask may indicate the liver’s inability to not only conjugate hormone excess, but also reduce excess yeast in the body. She should look into doing the gentle liver cleanse a few times because this imbalance may portend other unhappy diagnoses to come. I will pass on your website link to Molly so she can read about the Gentle Liver Cleanse. NSP does not have a MLM business Vietnam, yet, but Sunshine Direct will ship product there. I’m having some issues with some warts on my hands. Is there anything you recommend to get rid of them and keep them away? Warts, like most skin issues, come from an internal imbalance. Cleaning up the internal debris will cause them to go away eventually. Many people have them removed by various means and they come back again in the same place or somewhere else. Liver, blood and lymph cleansing usually give good skin results. I have been coming to you since April and have been following the blood type diet and taking my herbs. My digestion is in order. I have been doing the stress therapy as well. My checks are still covered in acne though. And now that it has gotten cold, my face has become dry and flakey. I was using the silver shield gel, but I did not see results and stopped using it when I ran out. What am I doing wrong? Last time I came to see you, you determined that it is not hormonal. Do you know how much water you are drinking a day? I would try increasing water intake and see if the skin responds. Adding a little lemon to it will make it more drinkable. I will try this! I usually drink about 60 oz day, but I will increase this and see what happens. Pat – You write that if you can’t eat it, you shouldn’t apply it to the skin. What do you recommend in terms of shampoo and bath soap? I refer to things here that are applied to the skin and left on the skin. Soap and shampoo are washed off. I was wondering if you had any experience or insight with Vitiligo? I developed it when I was three years old. I have tried several treatment options with little to no success. There is no “cure”, but there have been reports that certain herbs/vitamins have replenished skin pigment. Are you familiar with any? There is a microbial aspect to this which may have been introduced with a vaccine. Only your body can cure it but we may need to clear the liver and drain the lymph to see improvements on the skin. If liver cleanses have been part of your efforts, you may want to try IN-X (Dr Christopher’s Infection in the glands formula). Begin with 3B, 3D. Then you may want to consider a phone/email consult to find exactly how to proceed from there. Most skin issues are related to the lymph in some way. I have severe eczema. I’m tired of oral steroids and it is becoming unbearable. Help please. Read the bowel and the liver doc and do the Gentle Liver Cleanse. Hello Jessica, what a heartbreak. 1. Strickly follow the diet according to your blood type. Mainly focus on avoiding the inflammatory foods. 3. Every night do the Emotional Stress Release with just one stressor at a time. Your gut is taking some stress hits and this practice will lessen the dammage. If these things don’t make enough of a dif, then do a consult. Thanks Pat for a most informative website and more importantly for your generosity and kindness. I have had very itchy eczema (spongy dermatitis) on the back of my neck and wrapping to the front on the left side only for about ten years. The onset was after mercury amalgam exposure (13 amalgams which were replaced within a year of being in). I have gone through various herbal/dietary mercury removal protocols. I am no longer testing positive for mercury during muscle testing. However, I am left with worsening, multiple food sensitivities (salicylate, phenols, etc) that it makes it very difficult to eat anything at all without reacting. The eczema has also worsened over time and very is painful and very scarring. My sleep is also affected immensely, along with a highly reactive/jittery/restless nervous system within an hour after eating. The issue of feeling generally unwell is more bothersome, honestly. It affects everything from mood to motivation. My question is this – is the site of the eczema significant? I wonder after reading your articles, if the site is right around the drainage of the thoracic lymph duct – where it empties into the veins. And if the contents are congesting and hence affecting the tissue right around that area. The bigger question of course is how to rebuild the liver and possibly kidneys to detox properly and well. Any wisdom you can share will be so appreciated. I am open to a consult as well. Namaste! From here my guess is that your liver has become toxic or inactive and not processing the lymph from the head area. You have already many indicators of liver dysfunction so please read that link and do the Gentle Liver Cleanse. Everything should improve, but if not we can do a consult. Thanks so much for your prompt reply. I will certainly look into it and follow up. Much gratitude! Hi Pat, my 19 year old daughter has been dealing with blister/itchy rash during and after every shower for 3 years now. We have tried everything natural from soaps to shampoos and nothing seems to help. She is currently taking KB-C for kidney issues and I just started her on KY-A and Chinese nervous fatigue. She has other issues under kidney and liver, arsenals…could these herbs help with this skin problem too. We are trying to eat the blood type diet. Consider that the temp of the water may be a player in that the heat expands the surface vessels and there is also lymph stagnation which means the irritants come out the skin. So try cooler showers. In the mean time resolve the surface stagnation (will take some time) using C. Liver Balance 4B, 4D and after a week add Lymphatic Cleanse Formula 3B, 3D. Reduce with symptoms. Hi Pat, thank you for your recommendations for my 19 year olds skin issues. She has been taking the herbs as rec. Since your post. She has almost cleared completely, however she also has another issuei failed to address and ask your thoughts. She has frequent urination at night is the worst 1 -3 times, voume varies. She does have puffy under eyes and has been diagnosed with progressiv. scoliosis since 11. Should we make an appointment via. Email or do you have a recommendation? We have tried energy work for fear with some relief but still an issue. Any thoughts are greatly appreciated.